“South of North Dialogues: A Nordic-African Discussion of on Film“, Mouthful of Meetings, Venice. 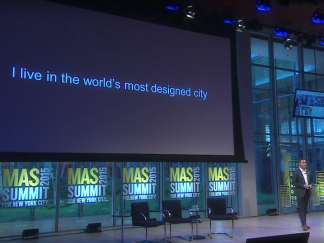 “Learning to ask for the Cape Town we want”, Municipal Arts Society Summit, New York City. 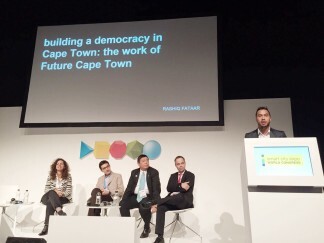 “Building a democracy in Cape Town : The work of Future Cape Town”, Smart City Expo World Congress 2015, Barcelona. “Social innovation and public life” – Panel Discussion, Smart City Expo Casablanca 2016, Casablanca. 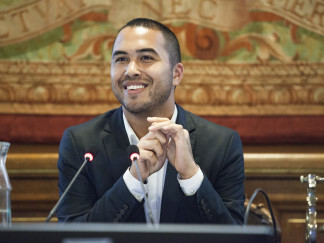 “Inventing a New City for All” - Panel Discussion, Cities for Life 2016, Paris. “Making a Great Future Cape Town with TOD”, Transit Oriented Development Summit, Transport for Cape Town, Cape Town. “What is the future of public space?”, The Future of Public Space Series, Our Future Cities, Cape Town. “Building Collaborative Cities and Communities Now”, Panel Discussion, Green Building Council South Africa, Green Building Convention 2016, Johannesburg. “The Joburg Action Lab” – Panel Discussion, University of Johannesburg and Urban-Think Tank, Johannesburg.